I have always loved all the four seasons, but I have to admit that winter, a proper winter, is my favourite season. And the winters from 2009 have been just that over here. In February 2011 me and Peter did an outstanding adventure on the sea ice between Åland and mainland Finland. I gave a name Ice Journey for that adventure. (Check out a brief write-up at my old blog and Peter's excellent report if you haven't already). 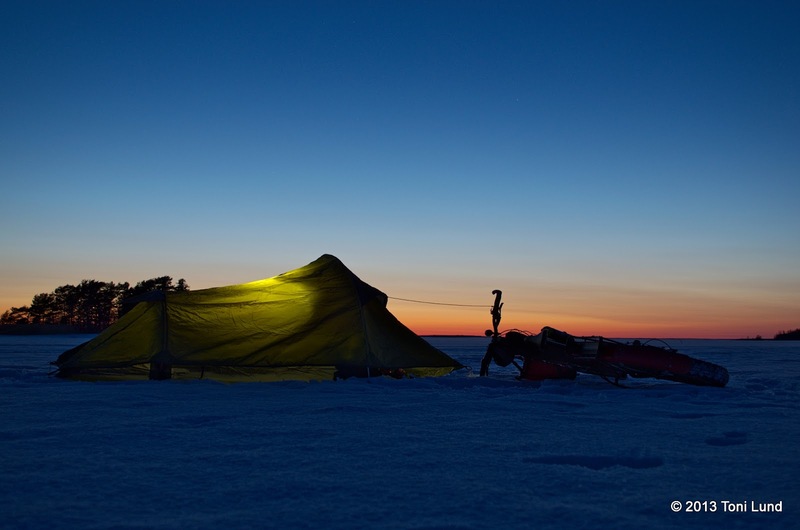 After 2011 it was clear that we would do it again if the opportunity comes, and if possible, we would ride from Finland to Åland and back to Finland. The winter 2011/2012 was nice but not cold enough for proper ice conditions, although there were a couple of unofficial ice roads near Houtskär and Norrskata islands. 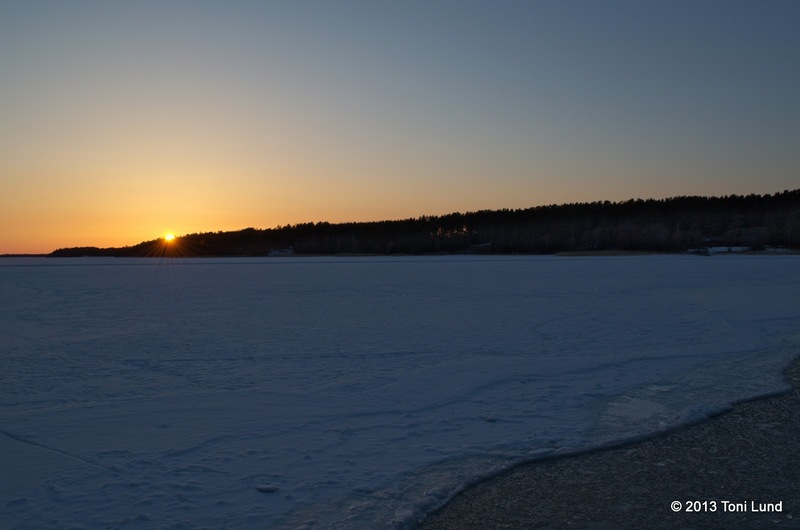 This winter has been great, with a cold December, but January and February were milder months and it didn't look good for ice conditions. But then came March which was surprisingly cold, all the way to the beginning of April. 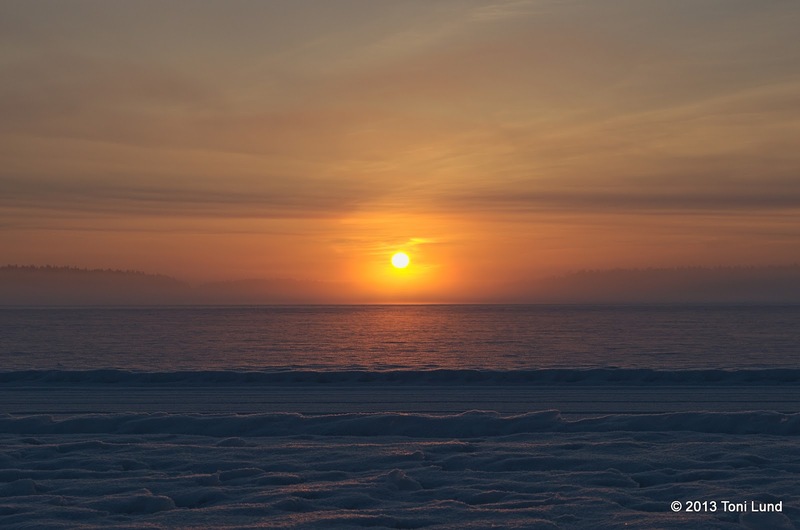 The Arctic Oscillation went for a new record for March, and the news came that late-season freeze set Baltic ice record. So did also the weather forecast, as the cold nights would continue this week. I persuaded Tuesday and Wednesday off from work. Now I just had to source the information if there are any official or unofficial ice roads. Official ice roads are maintained by ELY Centre (Centre for Economic Development, Transport and the Environment). Last time there were official ice roads was in 2003. For obvious safety reasons, there are higher requirements for ice thickness. Usually there has to be 50 cm of fast ice (in Finnish we call it "steel ice"). 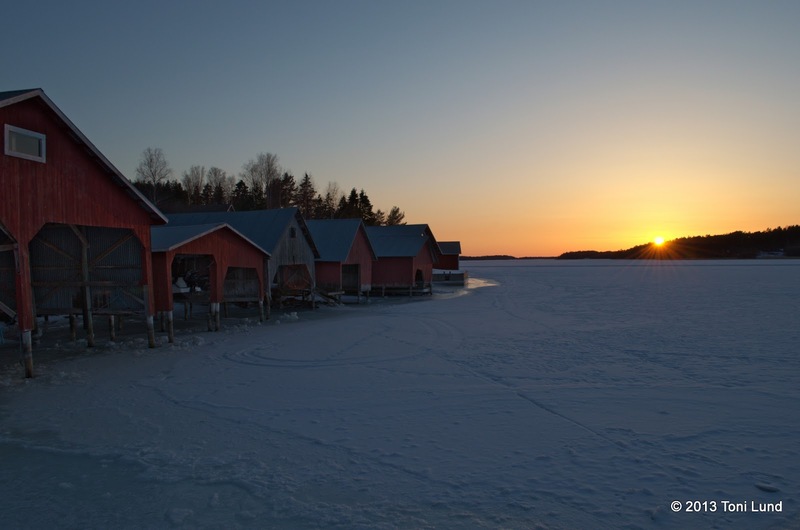 But unofficial ice roads are maintained by the local people in the archipelago, with slightly lower requirements. 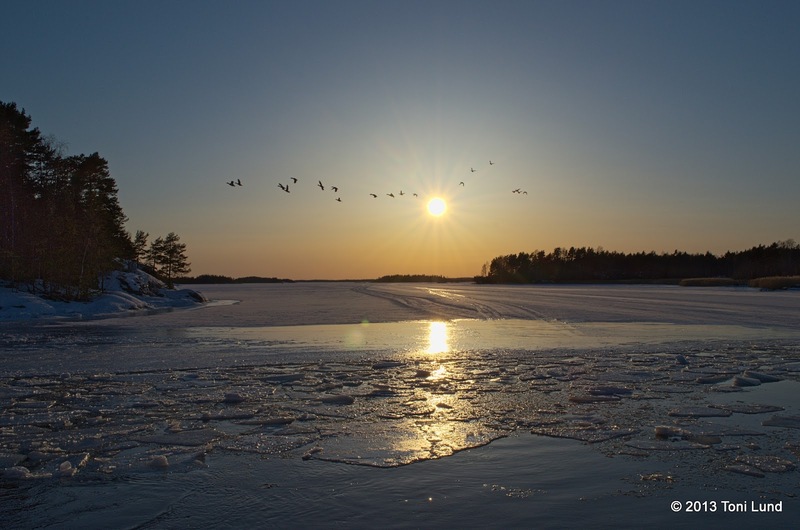 Now, sourcing the information about the ice roads and ice conditions can be tricky, but there is a good reason for it. 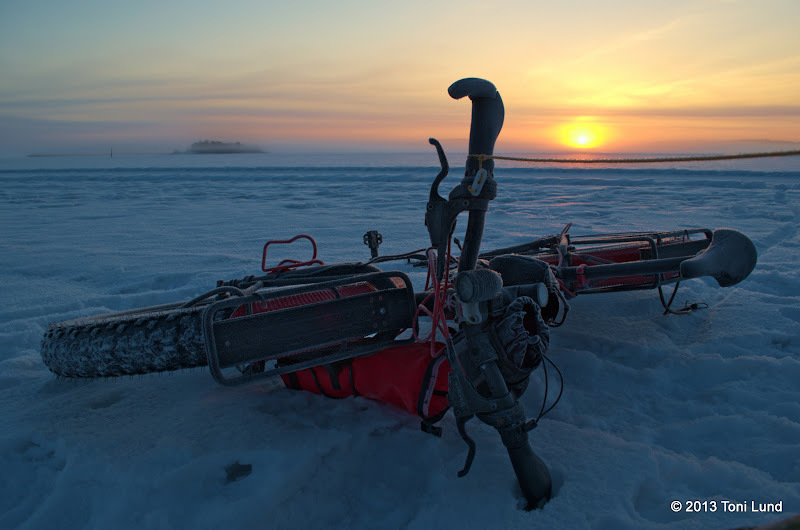 The ice roads are needed by the local people for transportation. It's understandable that the information is not easily available, because foreign car drivers can cause just too much problems. 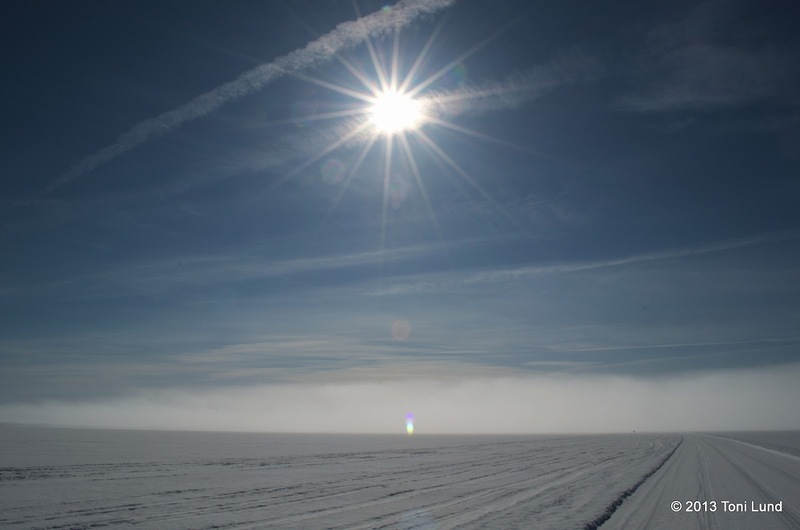 Just that happened in 2011, when two men "got lost" from the ice road with a car. They were rescued by a Super Puma helicopter of Finnish Border Guard. And not so surprisingly, the two men were under the influence of alcohol! But what about going to the ice and forget about the ice roads? Not a good idea. 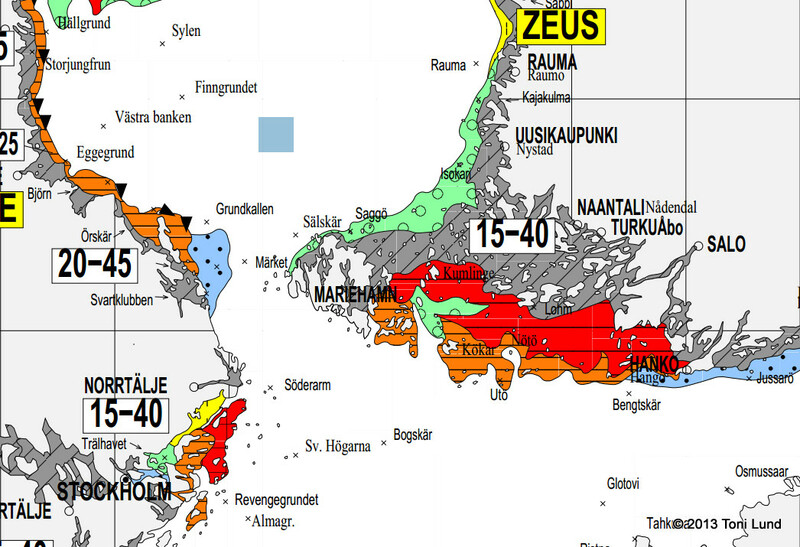 There are lots of currents and sea lanes in the archipelago, so it would be too risky. Fortunately I have connections to the archipelago. Like in 2011, I contacted Bosse Ahlnäs from Åland (he has some information on his home page too). He kindly responded and wrote that water was coming up on the shores, so it could be too late for a safe trip. On to the plan B. I got information from Houtskär that there is at least one ice road to Iniö, and probably to Norrskata too. So, my plan was to do the Archipelago Winter Tour. 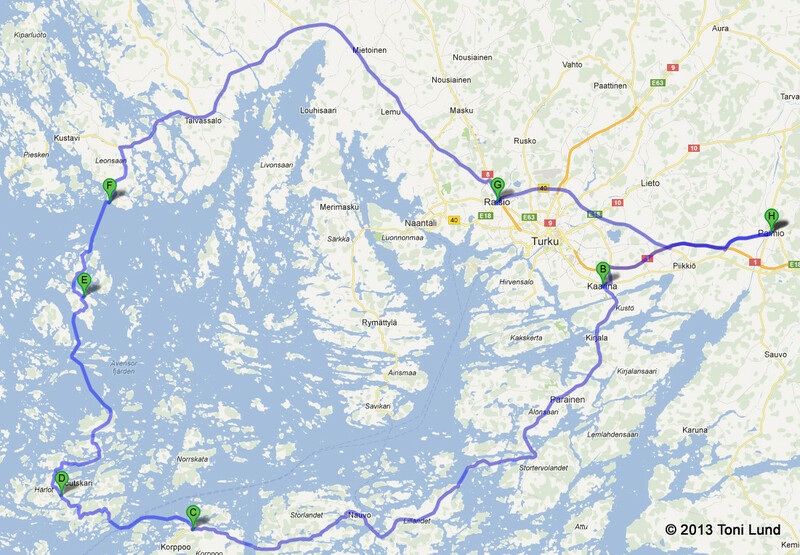 I would mainly follow the popular cycling route of the Archipelago Trail (also known as Archipelago Ring Road), and cross the sea on the ice road between Houtskär and Iniö. As I was going to do this on a short notice, this trip would not be completely unsupported, and I would resupply on the route if needed. Alternatively, I could try to find the ice road route from Norrskata to Rymättylä and avoid the long road riding from Heponiemi (Kustavi) to Raisio. I packed my usual winter bikepacking gear for the trip on Tuesday morning. I encountered a small problem with the MSR fuel bottle and the down tube bottle cage. It didn't fit there without contacting the front fender. I tried it with different cages with the same result, so I put the fuel bottle inside the frame bag instead. This delayed my start. My plan was to be at Houtskär for the sunset. As I was riding towards Kaarina, it was already afternoon. I decided to improvise my original plan, and jumped to a bus to Korppoo with my bike, as the bus schedule was just right. I had spare time before the ferry to Norrskata and Houtskär. There was a local, old man, and I asked him if he knew about a possible ice road between Norrskata and Rymättylä. He said that there isn't ice road, and has not been for a long time. I was still thinking about crossing the sea between Norrskata and Houtskär, as the ferry would go to Norrskata first. I was already on board of Mergus when I asked another local if he knew about the ice road situation. He said that there is an ice road, but he wouldn't go there. I decided to play safe and returned to harbour. The same ferry would go to Houtskär after coming back from Norrskata. I will travel with Stella a lot during the forthcoming spring, summer and autumn. Next up was a road riding section to Mossala. The sunset was in progress, in a beautiful way. A perfect moment with a swarm of birds! 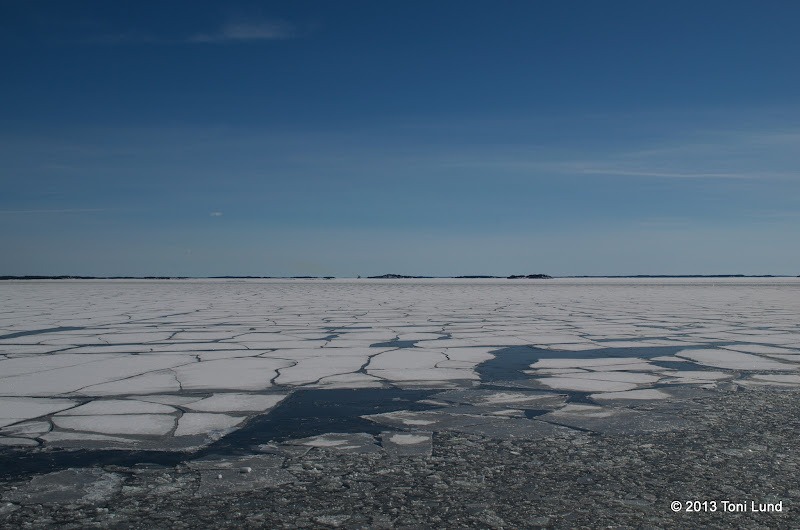 Finally, the ice road to Iniö! I wanted to experience the night on ice. I set my camp from a fairly short distance to the shore. I made a freeze-dried meal with the hot water from a thermos bottle. The temperature was dropping fast. I slept fairly well. My water bottle was partially frozen, so I put it inside the sleeping bag. It melted during the night, but also had a cooling effect. During the night I woke once to eerie sounds of ice. Not cracking sounds, but something, somewhere, moved slightly. This was the first time for me to use the new MSR Whisperlite stove with liquid fuel. I was using MSR PowerFuel. My initial impression is that it's a very good stove and it's easy to use. The morning isn't good without good, hot coffee. A hovercraft in the distance. It was so great to be on the ice! Interesting junction. I looked the map on my smartphone and figured that the road to right would go to Iniö and continuing straight would go to Keistiö. Two of the total four of eagles on the area. Everytime I tried to get closer to them for photographing they flied away. There are even more photos from the ice (and the trip), I will post them later. 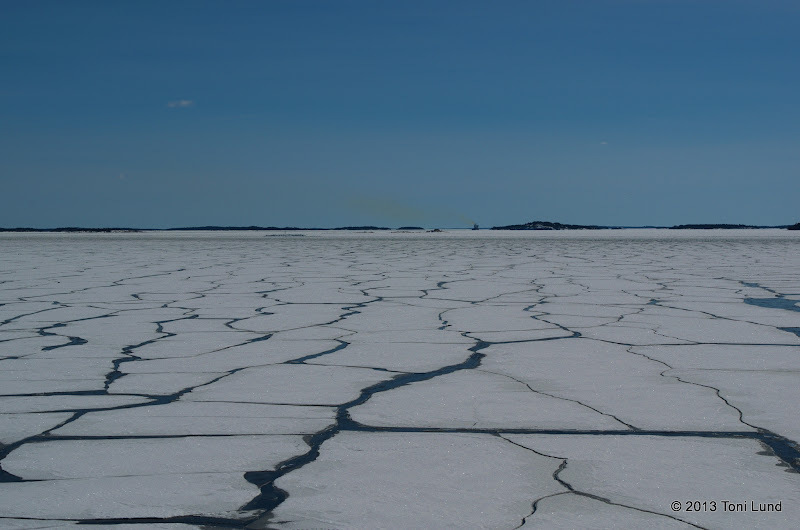 There was a rather promising start of an ice road to the Velkua direction, but the local people said that it goes only to the nearby islands. 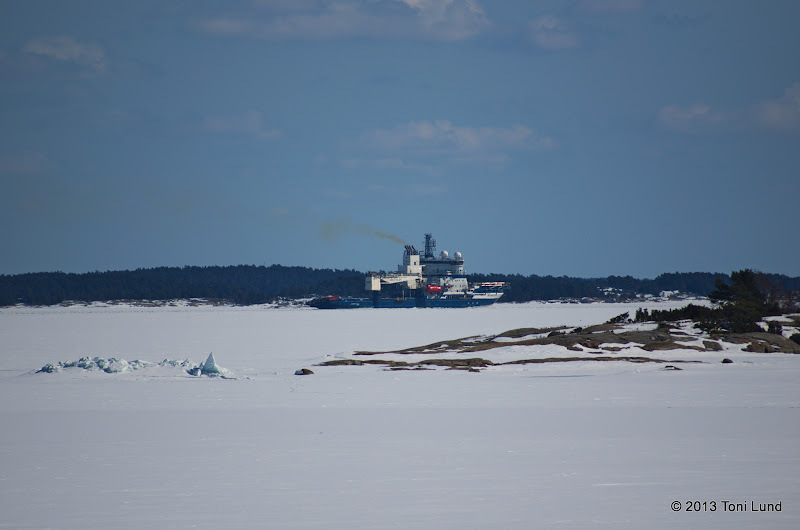 Another interesting observation, the ice breaker Nordica of Arctia. Arriving to the Heponiemi harbour. This was an excellent trip and made me so happy as I could enjoy the last moments of this late-winter. As writing this report, the winter is definitely over and the weather is starting get spring-ish and warmer. It was a great winter, with many nice trips and overnighters. The Rovaniemi 150 race was the highlight of the winter. There's nothing wrong with the spring, summer and autumn, but I'm already looking forward to the next winter!